I think your card looks great! I love all the falling leaves along the bottom. We were on the same wavelength for the stamp set this week! Great job on the color challenge! 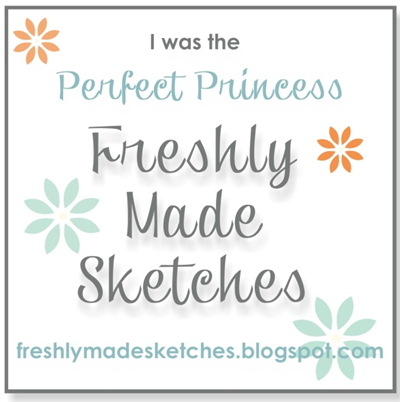 Love the little leaves fluttering down the bottom of the card below the sentiment! 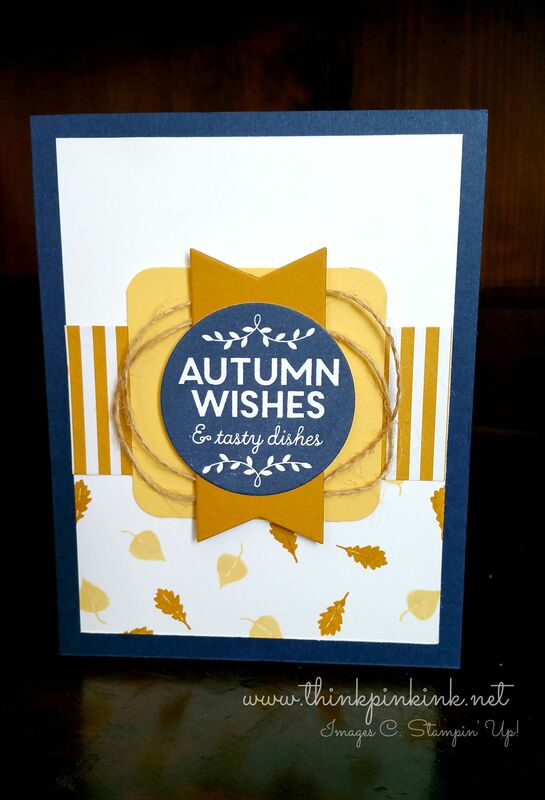 What an easy card to do for class that doesn’t require a lot of supplies…wonderfully simple! 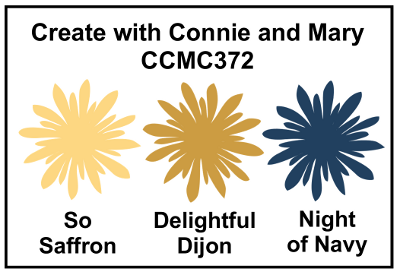 I love the way you combined the colours too Bridgette – that navy circle looks fab with the Dijon banner behind it. 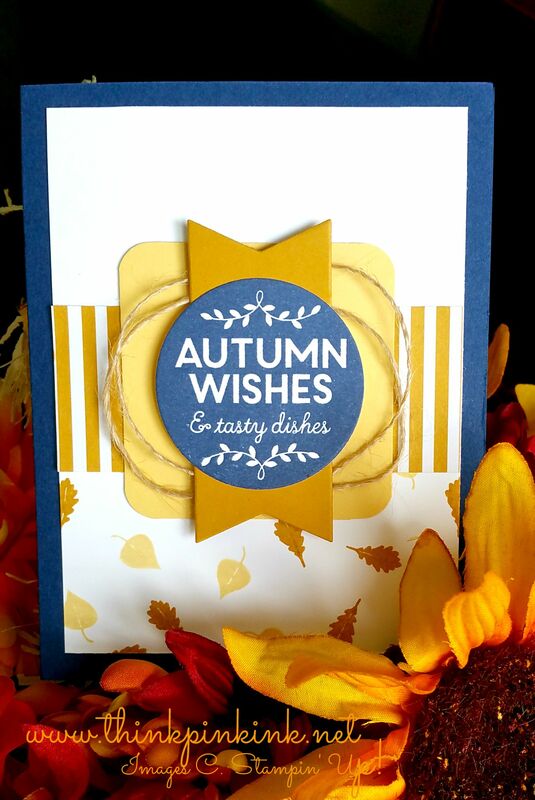 As for the leaves, your MIL’s encouragement was definitely right place, right time – they look so autumnal the way they are falling and swirling around the bottom of your card. Beautiful! Crisp, clean and fun! The twine behind the banner is my favorite part! Love those little details! Oooh, I really like how you combined these colors and this sketch!! Your autumn card is just beautiful and I don’t think you used too many leaves at all.. Perfect as it is!! Your built-up sentiment is really fabulous with the stripes and the twine! I love how you stamped the leaves on just the bottom half! Great seasonal card!